The "PhoneGap - Scan Barcode" action allows you to scan barcodes in a PhoneGap application. A barcode is a way to encode information, such as a URL, item price, or airplane ticket information, as a black and white image. QR Codes are popular form of barcode, often used in advertisements to encode a URL to a website. A mobile device with a barcode scanner can be used scan the QR Code and then navigate to the URL, making it easy for people to visit a website without having to manually type the URL into a web browser. When you build the PhoneGap application be sure to select the Bar Code Scanner plugin in the Third Party PhoneGap Plugins section. The plugin is configured using properties. These properties are explained below. If checked, the front camera (the camera on the front of the device) will be used to scan barcodes if the device has a front camera. Otherwise, the barcode scanner will use the back camera. 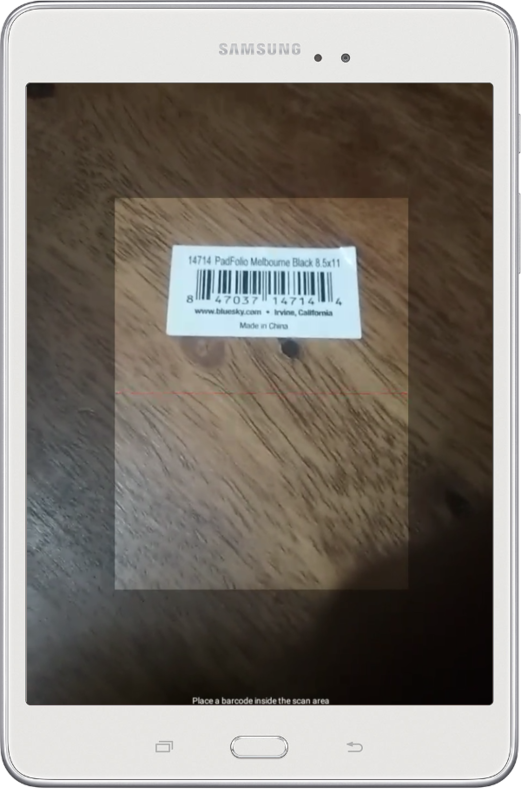 If checked, a button for swapping between the front and back camera will be added to the barcode scanner. Android only. On Android devices, you can specify a prompt that is shown when the scanner is opened. The Prompt property can be used to define the prompt to be shown when the scanner is opened. Android only. On Android devices, the barcode scanner can be configured to use a fixed orientation or rotate with the device. If set to Portrait or Landscape, the Android device will use a fixed orientation (portrait or landscape, respectively.) Selecting Rotate will cause the scanner to rotate with the device's orientation. The text representation of the barcode data. Specifies whether or not the action was cancelled. If the value of result.cancelled is 0, the scan was successful. If the value is 1, the user cancelled the scan.